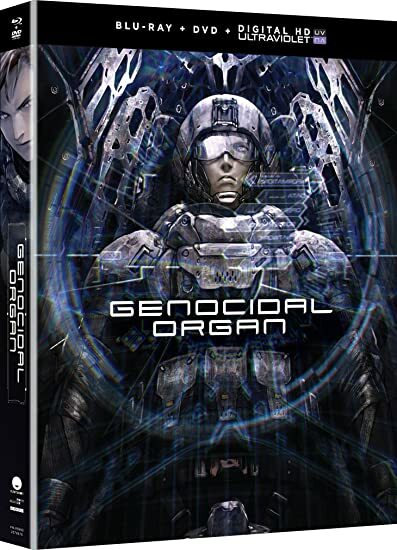 Project Itoh: Genocidal Organ - BUY THIS BLU-RAY! Based on the captivating sci-fi novel by Project Itoh, Genocidal Organ takes an introspective look at a post-9/11 future, exploring freedom, security, and a bizarre shift in terrorism throughout the world. THEN SEND IN A COMMENT ABOUT YOUR FAVORITE FUNIMATION TITLE (you may click on artwork above for a refresher) PLUS YOUR NAME AND ADDRESS TO contests@efilmcritic.com or WeLoveHBS@aol.com. (Just one e-mail please.) Put [b]"PIANOS ARE MUCH LESS GENOCIDAL" in the subject line and cross your fingers. We will draw names and one of the prizes could be yours. Only 1 entry per household.